to feel EMPOWERED and VALUED for who you are . . . today! The Million Dollar Babe Project is not about the money, it's about YOU . . .
discovering within you, your value and courageously expressing your value in the world. Allow your inner fire to burn away the energetic hand-me-downs of poverty mentality. Commit to freeing yourself from self-imposed limitations. No more timid tiptoeing, playing small, or apologizing for who you are. 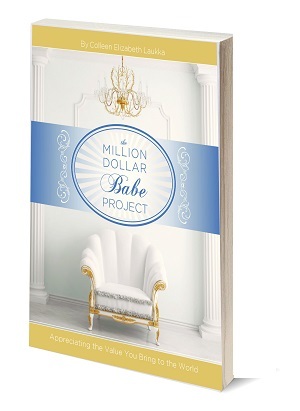 "The Million Dollar Babe Project will help you appreciate the value of your greatest asset - YOU!"